Your workplace should be a place of comfort, inspiration and productivity. Workspace furniture plays a huge role in the look and feel of your office, as well as the comfort level for you and employees as you go about your work. 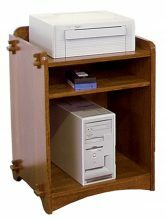 At AmishOutletStore.com, we offer a huge selection of workspace furniture that captures the style and fine craftsmanship of Amish construction. In our selection, you’ll find a range of bookcases, computer centers, desk chairs, desks, filing cabinets, and more. Our selection also includes a range of styles and specifications in each category, which ensures you can find the perfect Amish workspace furniture for your company and its culture. 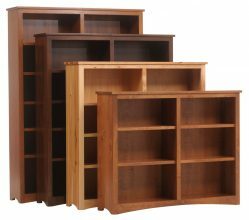 Beyond businesses, Amish workspace furniture is perfect for homes, schools and libraries. No matter where this fine workspace furniture is used, you’ll enjoy the long-term durability that Amish furniture is known for — while still being custom designed for a unique appearance that will help your space stand out. Natural tones: Today’s offices go to great lengths to bring the outdoors inside. When you choose Amish workspace furniture, you can take advantage of the natural wood construction to bring a sense of natural beauty into the workplace. Bold colors: Our wood furniture is fully paintable, meaning you can choose to customize your Amish workspace furniture to meet the unique color needs of your workplace. Community spaces: Use our wide selection to secure both traditional workplace furniture components like desks and chairs, as well as our selection of upholstered furniture to create community spaces where people can collaborate and work together. Lounge areas: Like the community spaces, relaxed lounge areas are becoming more and more prominent in the workplace, and our Amish workspace furniture can be used to help create these laidback gathering spaces. Value: Any business is concerned with the bottom line, and we deliver the long-term value that’s great for your budget through high-quality, durable Amish workspace furniture that can be used for years to come. When you choose AmishOutletStore.com for workspace furniture, you’ll discover that you have access to a one-stop source for all the furniture you need at your place of business. Any workspace should be the perfect balance of usable pieces and wide open space. Your employees or workers should be able to craft the kind of workspace that makes them feel at home and that helps them achieve maximum productivity. These comfortable, productive workspaces often include a desk and chair that are comfortable as well as plenty of storage so your space doesn’t get cluttered and messy — and where you can stash items for the long term. It might also be helpful to have an auxiliary table and sitting area to review documents and get away from the desk as your focal point. No matter your preferences in design and layout, Amish workspace furniture can help you craft your ideal workspace. Take advantage of the many styles and looks to pick and choose the components that will help you or your co-workers feel most at home and most comfortable in getting work done. And no matter what pieces you choose, know that they are versatile and capable of delivering performance over the long-term. Amish workspace furniture is known to look great as well as to stand the test of time thanks to fine Amish craftsmanship. Do you have a large space you need to fill at your office? We can assist businesses with bulk workspace furniture orders. Your office will look more polished and professional when all the furniture has the same style and patterns. When you order from AmishOutletStore.com, you receive handcrafted furniture that gives your space a more pulled-together look. You can buy matching desks, filing cabinets, printing stands and more. 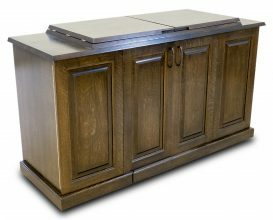 Credenzas: Add one to common office areas that lack storage space, such as kitchens and copy rooms. Bookcases: Store extra printing paper, books related to your industry and pictures of your staff. Conference tables: Clear out an office to add needed conference space, giving you a place to meet with prospective clients. While some furniture buyers are looking for uniformity in wood type and stain color, its essential to add some variety to your office’s palette. First of all, uniformity in wood and stain will create a boring feel that might lull your workplace to sleep. Second, it’s difficult to find the ultimate wood type and stain and then to match it perfectly across an entire collection of workspace furniture. Instead, look for stains that complement each other in undertone. Choose warm stains to go with existing warm stains, and cool stains to go with existing cool stains, etc. When it comes to mixing wood types, make sure the grains and patterns are similar even if the wood types are not. When you are mixing, consider adding a buffer of color between different wood type and stains. For example, a colorful rug could create a barrier between a wood floor of one stain and a wood table of a different stain. And if stain colors aren’t working at all, you can always paint your furniture white, or another color to create a different style and feel entirely. There’s more to workspace décor than just the furniture. How can you enhance your workspace and its productivity with appropriate décor? Start with paint color. What color would best reflect your workspace values and aspirations? Blue is known to be a color of creativity, and yellow is a color of contentedness. The good news when working with wooden Amish workspace furniture that is stained is this: You can match almost any color, whatever you want. Try to find shelving and storage areas that are stylish, too, as these components can be attractive and useful. Finally, search for the perfect artwork and wall hangings to complement your furniture style and represent your workplace values. 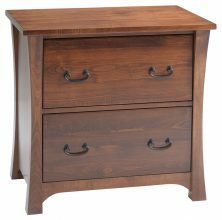 AmishOutletStore.com is the best source for the traditional fine craftsmanship and style of Amish workspace furniture and other products made in Ohio and available anywhere. Our furniture offers the perfect blend of affordability and quality — they can grace your office and look great for years to come. You’ll find in our selection the finest in Amish workspace furniture made of cherry, oak, white oak and other premium hardwoods. Trust AmishOutletStore.com for your workspace furniture needs and discover the difference in Amish furniture. Browse our selection of Amish workspace furniture today.